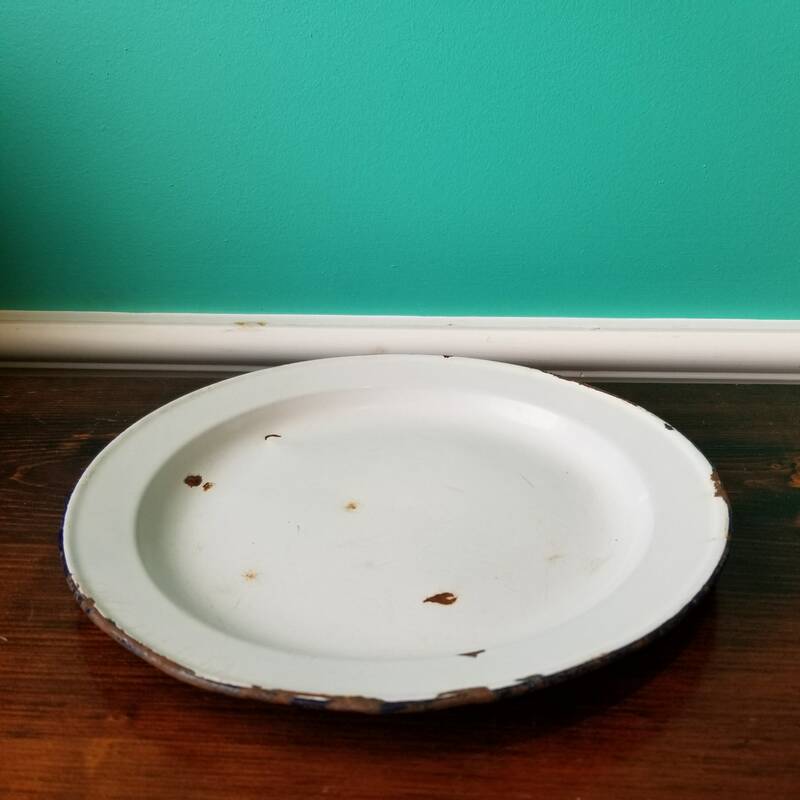 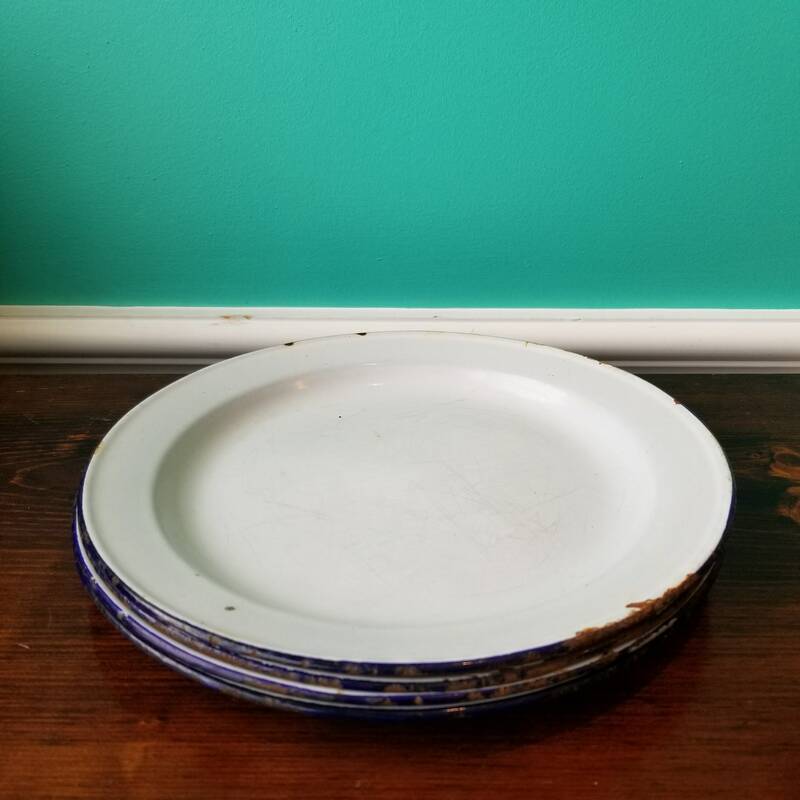 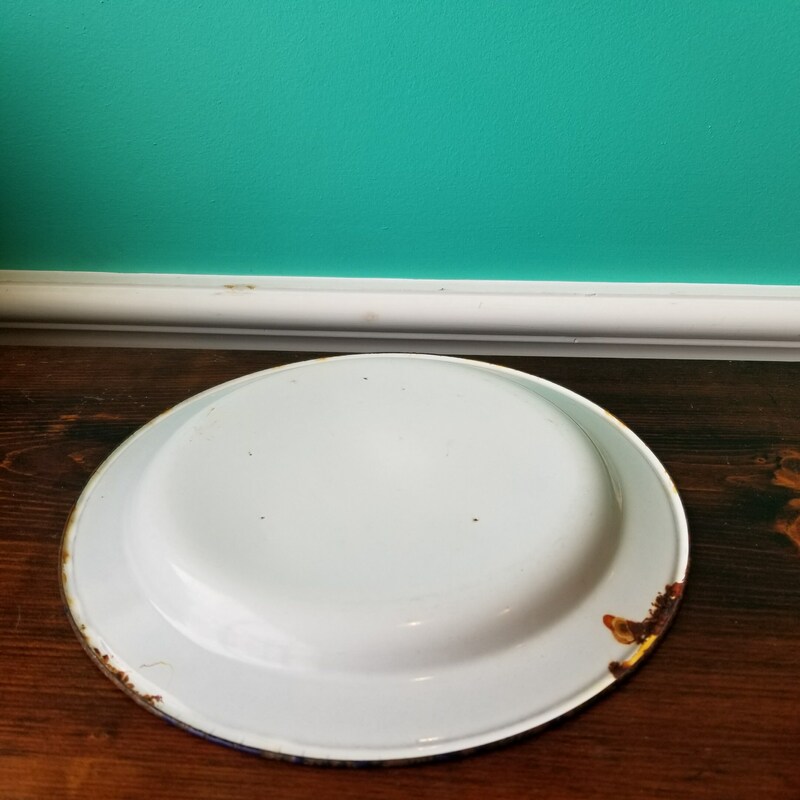 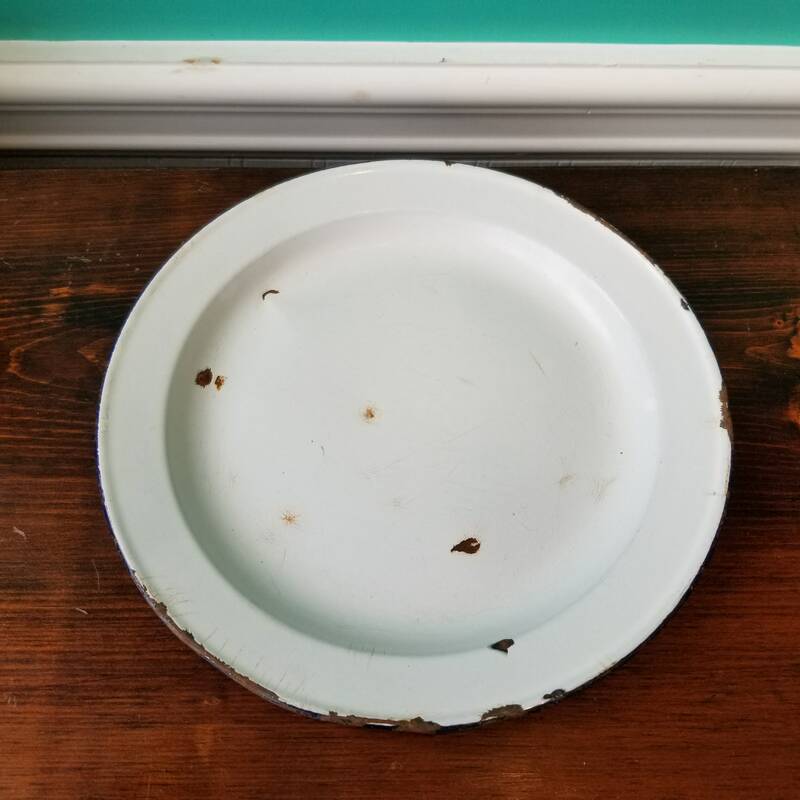 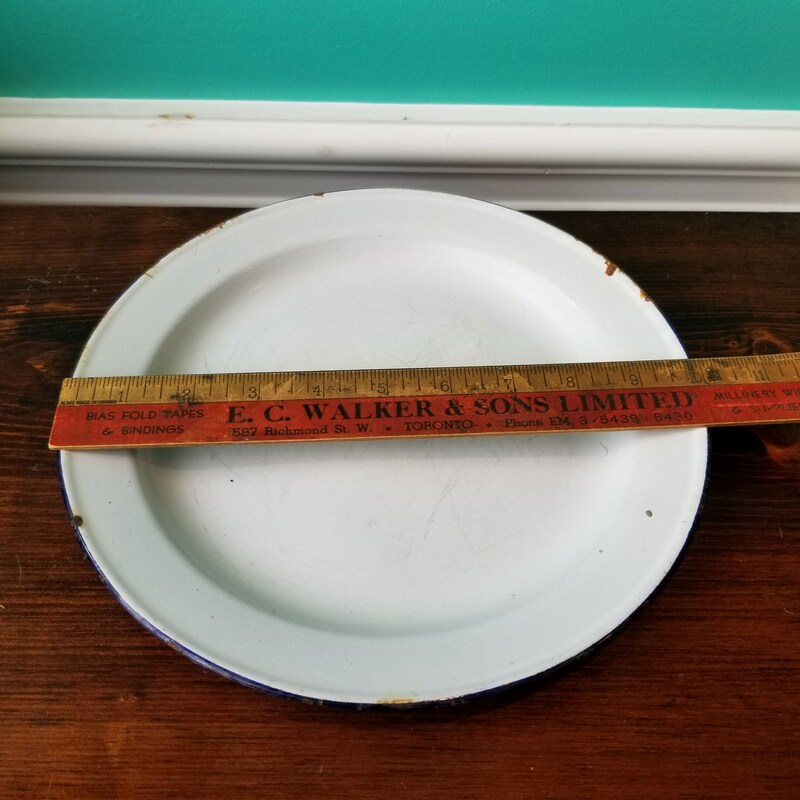 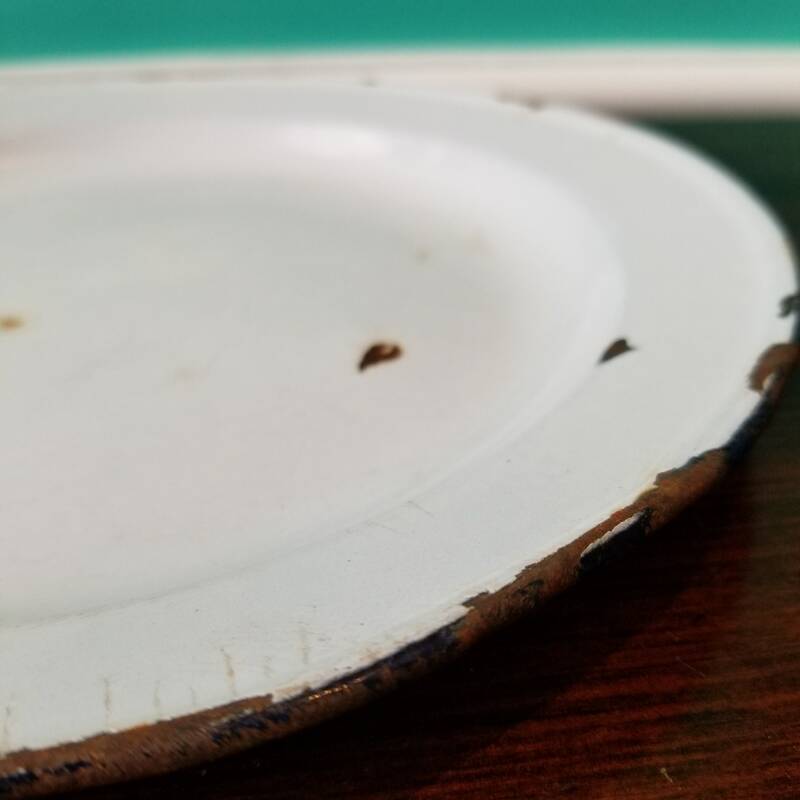 Set of 4 Enamelware Dinner Plates. 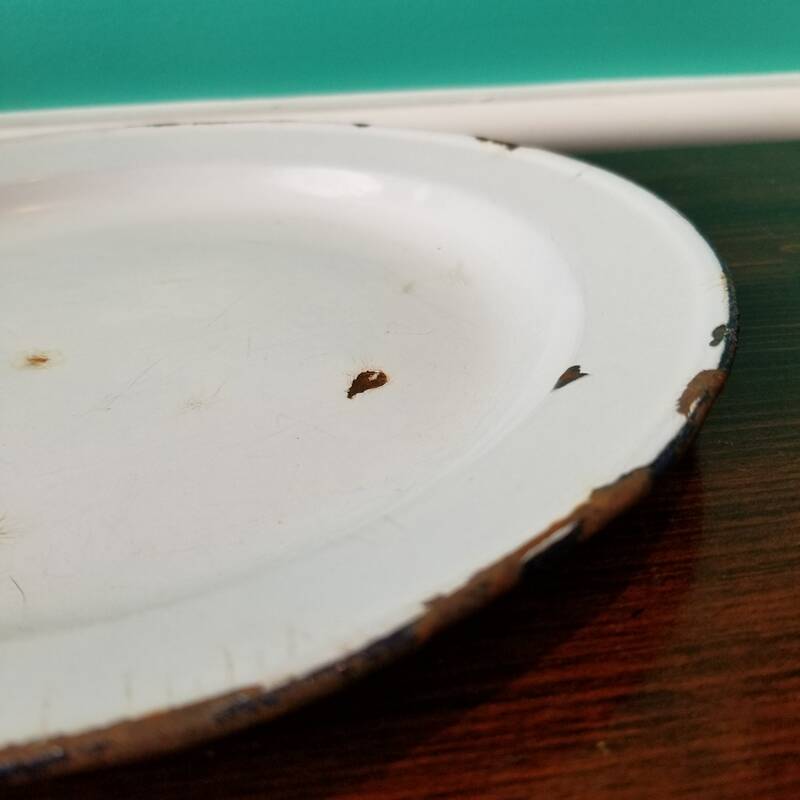 They have a diameter of 10"
These four have seen some use, see pictures for condition. 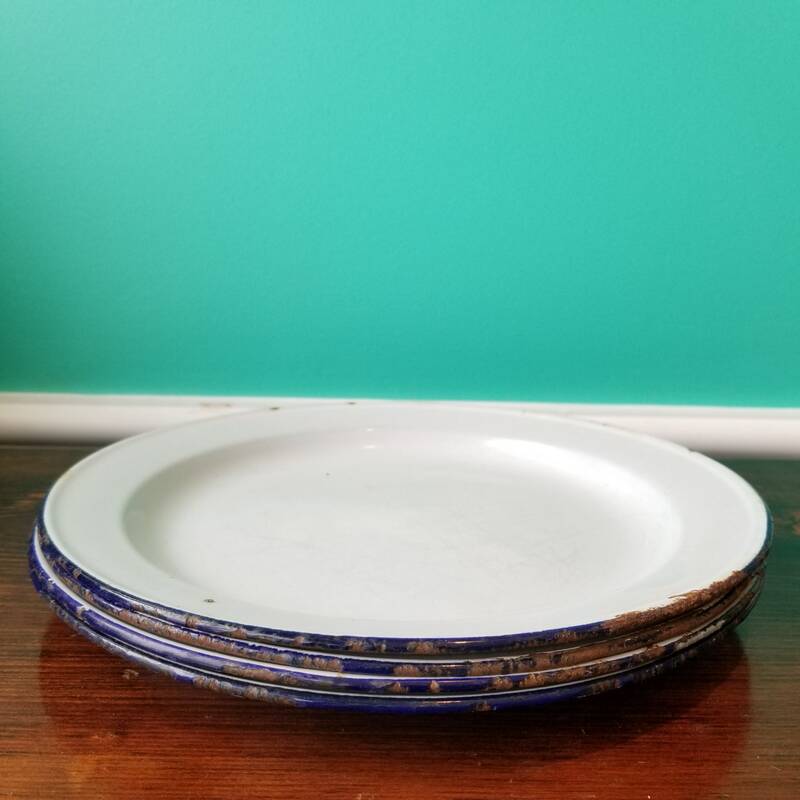 That being said they are a cool set for camping or picnics.